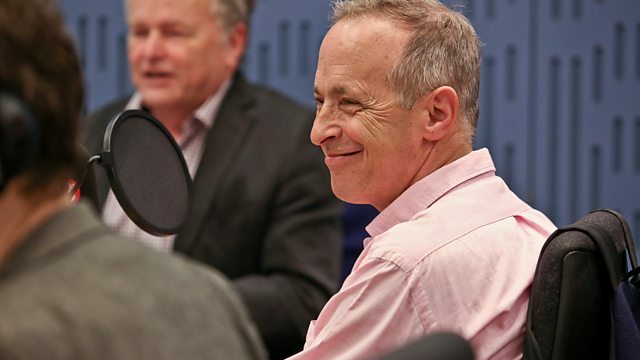 Clive Anderson and Francesca Martinez are joined by Danny Brocklehurst, David Sedaris, Amma Asante and Akala for an eclectic mix of conversation, music and comedy. With music from Miles From Kinshasa and Miss Hope Springs. 'Theft by Finding' is published by Little, Brown and available now. 'The South Bank Show' is on Wednesday 19th July at 20.00 on Sky Arts. 'In The Dark' starts on Tuesday 11th July at 21.00 on BBC One. 'Hip and Hop' is published by Oxford University Press and available now. ‘IVRY/KAYA’EP and new single 'Fireworks' are available now on Quality Time. Miss Hope Springs is performing at Wilton’s Music Hall, London on Wednesday 12th and Thursday 13th, The Stables, Milton Keynes on Friday 14th and Komedia, Brighton on Friday 21st and Saturday 22nd July.